Welcome to the new and improved BHV Sheet Metal Fabricators website. As well as an updated, mobile-responsive design, we be posting regular articles, project highlights, and useful information for HVAC sheet metal professionals. 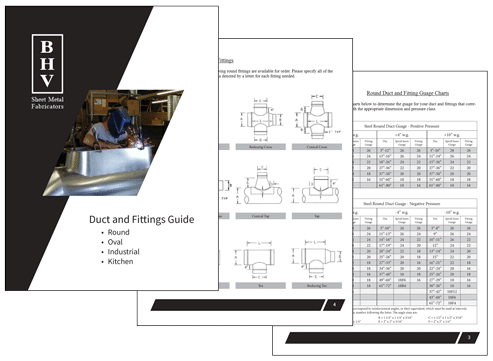 The BHV Duct and Fitting guide contains valuable information, charts, diagrams, and other information to help you get your next order going quickly and accurately. Get yours now. © Copyright 2017 · BHV Sheet Metal Fabricators, Inc.